Now that we all have wished each other Happy New Year and season's greetings and got down to the business of moving on with our daily lives , so I too have started to go along with the flow and resume my "Homemaker" duties. This word has polarized thoughts between most of Men and Women ( but let's not get into that this time). However, this very dish that I am about to post is such that only a person with a good amount of patience could pull it off as the cleaning of the fish takes time. Wash and clean puti fish (I have got 4" of puti variety here). Generally cleaning takes more time than cooking !! Sprinkle some salt, turmeric and chilli powder over fish pieces and keep aside for 10-15 minutes. In between make a paste of onion, tomato and chilli in a blender. Heat mustard oil in a pan till it reaches smoking point and then turn off the flame. Allow it to cool down then again put the pan back on flame and fry fish in batches till they are just turn golden. Keep aside the fried fishes. In the same pan add mustard oil if required and add the onion paste. After frying for 2-3 minutes add all the dry spices, green chillies and stir well. Now sprinkle some water in the pan and cover. Don't leave it unattendant as it may get burnt easily. Again remove the lid and add just 1-2 tsp water, cover and cook. This step is called 'moshla bhaja'. By now you will see oil floating on the top and sides of pan. Finally add just 1/4 cup of water and give it a boil. Add chopped coriander leaves, cover and cook for 2-3 minutes. Remove from flame and serve it hot with steamed rice. Wow! Love this fishy dish! Looks tempting! Coming to your blogspot is like home coming after the Sahara exile ha ha . WIll read the missed ones , quickly. This is really really tasty and right now I can eat it all!! Love the way the spice coat the fish! Happy new year dear...wow! this looks yum...would love to have it with hot steaming rice. ekthala bhaat er kicchu chai na go...darunnnn..
That looks so delicious D! I love fish and this recipe is a keeper for sure. I was reluctant coming here because the title promised fish And I get hungry. Curosity dragged me here and I am hungry.Grrrrrrrr! I want fish! Will eat in the canteen again tomorrow. I love fish, this looks tempting and well cooked. Looks so good !! Nicely done !! 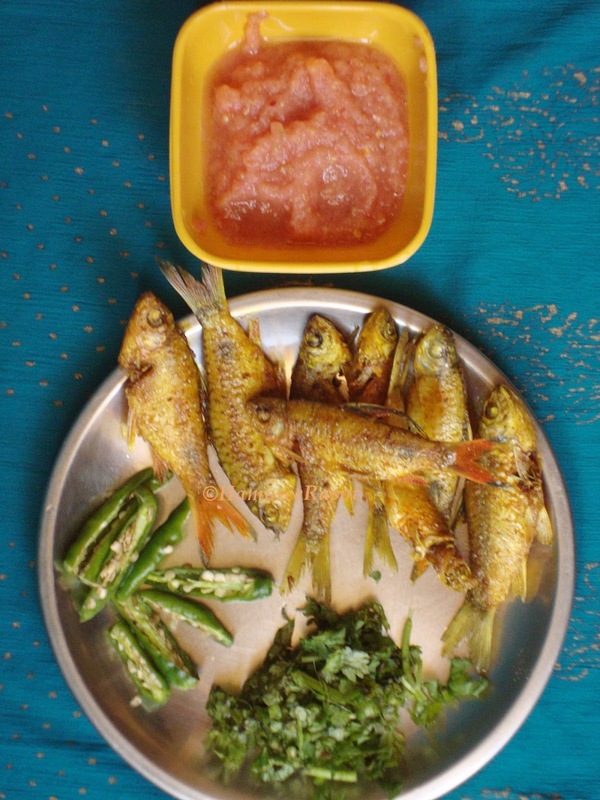 My god,it's a torture for people like me who are fish savvy..Nice recipe Deepa. And loved the way you presented it ! 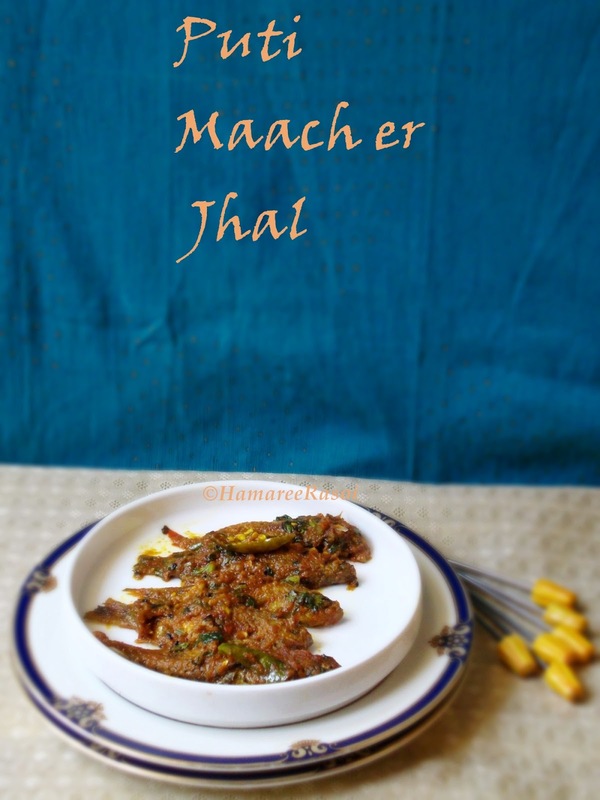 I am going crazy over this favourite of mine...puti macher Jhaal ... wow, my mouth is watering! Wonderful recipe and pictures!! Hi Deepa, I thoroughly enjoy all your recipes - like I said before your pictures are so lovely - with each new recipe there's a new way of presenting the food! Superb! 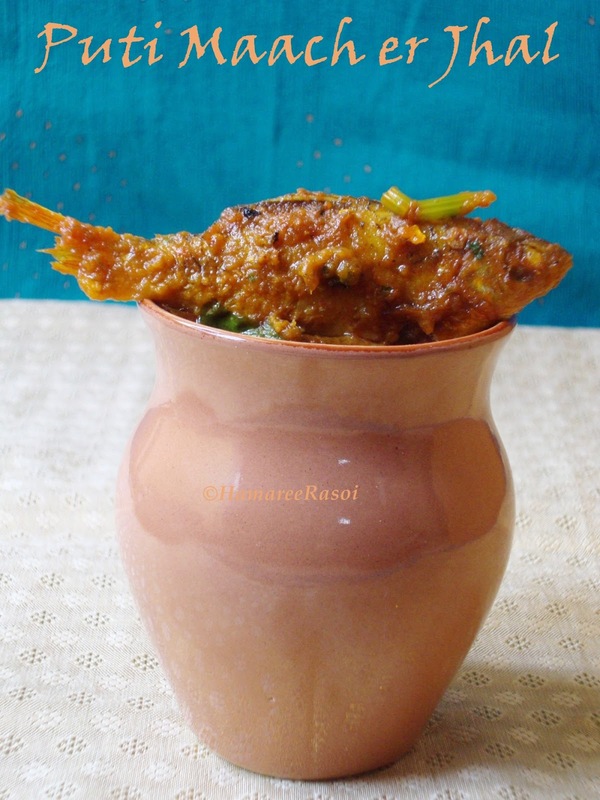 I particularly enjoy your traditional Bengali recipes and this one is one such recipe. I agree, fish takes so much time to clean but the end result is always finger licking good!! Just wanted to know if you don't cut the head portion, tail & fins also? how is the fish cleaned? All in all, great looking fish! Yum! Just what I’m looking for post-holidays! 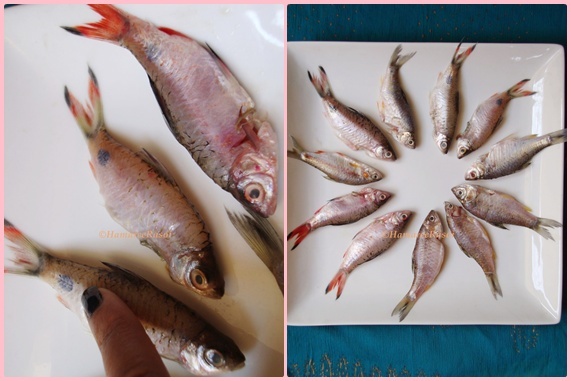 Lovely tiny fishes and such amazing preparation!! Amar eta dekhe ekhuni flight dhore badi jete iiche hocche! Mukhe seriously jol eshe gelo. Delcious fish curry, thanks for stopping by, happy to follow u!!! Ei Deepa, eirokom kore photo post koro na, dekhe thaki ki kore bolo to na kheye....amazing photography and will surely try it. Bookmarked dear. How did I miss this! 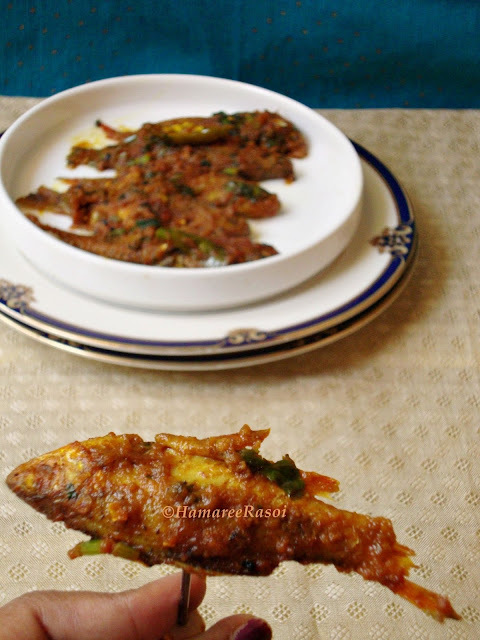 So amazing fish recipe. Great clicks.